The problem of reference in philosophy deals with relations of words to the world. Do words correspond to some mind-independent objects in the external world? In the following text, I propose the thesis that “reference” is one area where science and everyday affairs take sharp, diametrically opposed directions, and that this in turn implies that we use different faculties of the mind in doing science as opposed to everyday work. In everyday life, words can be used to communicate to others what we mean. “There is a chair in the room”. This sentence appears simple to understand. And it is. Everyone can easily understand what it means and it communicates one’s beliefs about the world. The simplicity of the sentence leads us to believe that the constituents of this expression, the words of the sentence, refer to some mind-independent objects called “chair” and “room”. In the picture, some chairs have two legs, some have none at all, some don’t have arm rests, while one does not have a back. So the word chair doesn’t really pick out, doesn’t really refer to anything external in the world. If one thinks that the problem is vagueness and one could come up with a better dictionary definition of a chair, the same is true of other words as well. Those who have read Plato would recognize this. But this goes beyond Plato’s forms (or Aristotle’s), as we know thanks to the greatest philosopher of the 20th century, Ludwig Wittgenstein. In fact, thinking of it in Plato’s and Aristotle’s (metaphysical) terms, leads to all sorts of (needless) philosophical puzzles and problems. The later Wittgenstein showed that the situation is much more interesting (and simpler in some sense). The issue at hand is not the nature of “reality” or the external world (metaphysics), but rather language and our cognitive faculties (thus epistemology). Language does not refer to the external world but in fact is used by people against a backdrop of beliefs, contexts and viewpoints. Forget all the chairs in the pictures. 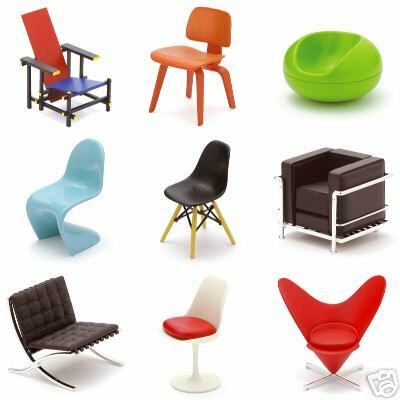 Consider a chair exactly as the one that the dictionary defines. Now consider that the chair starts talking. We would have no idea what to call this chair. Is it a chair talking or is it in fact a person who looks like a chair? These are questions of decision, not fact. Lest one feels that this situation only pertains to things like chairs, its even true of proper names. Let’s take a person, say Obama Liar Pants on Fire. Now we all have internal mental constructs of Obama Liar Pants on Fire. If Obama Liar Pants on Fire starts telling the truth for the first time in his life, then for many people he would no longer be Obama Liar Pants on Fire. Aha, but here one might say there must be something crucial, some essence, something “essential” about Obama Liar Pants on Fire and that essence is the thing that that the words Obama Liar Pants on Fire refer to. Something? His skin color? What if he turns white due to some physiological problem? Ok, forget everything else, maybe the words refer to his core, his being human? Really? Imagine that Obama Liar Pants on Fire turns into Froggy the Frog. Now, is that Obama in the shape of a frog, or a talking frog who lies like Obama. Psychic Continuity leads us to know that the transition from Obama to frog and back to Obama was Obama all along. The word Obama is an internal construct. There is nothing external it refers to that a physicist can study. The fact is that while listening to the story The Princess and the Frog, children have no problems deciding that the frog is in fact a prince. The prince turns into a frog, a lot of melodrama occurs and finally at the end, a kiss from the princess retransforms the frog into the prince. But as far as children are concerned, it was the prince all along. Children just know this. Where is the “essence” of the prince in this case? Well, there is no essence and the only essence is in the children’s minds. It is psychic continuity and what have you. But if someone were to say that the frog is not a prince, that would be fine too, because that person doesn’t share the same belief for whatever reason. Our cognitive concepts related to identity don’t have answers to these questions. The Ship of Theseus is not a paradox, as the later Wittgenstein made clear. The paradox is supposed to stem from the consideration whether or not the ‘Ship of Theseus’ would remain the same if it were entirely replaced, plank by plank. Furthermore, what would happen if the original planks were gathered up after they were replaced, and used to build a second ship. Which ship, if either, is the original Ship of Theseus? Such questions don’t have answers. They do show the limitations of our common-sense concepts and language, but don’t say anything about the external world. It is a gross mistake to confuse language with the external world. We use words as tools to communicate our common-sense beliefs about the external world, and that’s it. So in our everyday lives, we use the word “chair” as a tool to refer to the external world, but the word “chair” itself, on its own, does not refer to a mind-independent object. People have their own beliefs of what a chair is. How I am able to convey to you right now what I mean when I say the word “chair” is a more or less phenomenon and there will be cases where I will say something is a chair and you will say its not. Same goes for most (probably all) words in our lives, “river”, “bulb”, “bank”, “university”, “Obama” and so on. Reflexively we understand these words. We often share common beliefs about these things. What happens when we communicate is, as stated, often a more or less affair, and it occurs unreflectively and reflexively. In that sense everyday language use is much like walking. Despite words not referring to entities in the external world, we are still able to communicate wonderfully well with others about the world. This is because our communication occurs against a backdrop of shared beliefs; anticipation of others’ intentions (sometimes wrong, hence misunderstandings); and on-the-spot, reflex adjustments and compromises. However, if we stop to reflect for a moment about what entities in the external world our words refer to, we are forced to recognize that these words cannot possibly refer to anything out there in the external world, even though we unreflectively use them as if they do. And when we do begin to reflect, when we really try to understand how the world works (science), we discover that most of our everyday concepts have to be eschewed, and we enter into another realm. Thus, we come to the language of science. What’s different about science is that in science, words (technical terms) are supposed to refer to mind independent entities. Scientists move beyond common sense way of dealing with the world, beyond everyday concepts and words, and introduce their own concepts and terminology. When a chemist uses the “word” H2O, she expects that there is such a thing as Hydrogen out there in the world, which combines with Oxygen according to this formula, which represents a mind-independent way of how these two combine. The technical notion “H2O” refers to a mind-independent “object” for scientists. Now contrast H2O with “water” (in which the Ship of Theseus sails and not in H2O, as I will try and explain next). So we know that for chemists H2O is a mind-independent entity, but what is the entity in the world that the word “water” refers to? The philosopher Hilary Putnam has claimed that the term “water” is coextensive with “H2O give or take certain impurities”. (But) whether something is water depends on special human interests and concerns, (and) the term “impurities” covers some difficult terrain. Suppose cup1 is filled from the tap. It is a cup of water, but if a tea bag is dipped into it, that is no longer the case. It is now a cup of tea, something different. Suppose cup2 is filled from a tap connected to a reservoir in which tea has been dumped (say, as a new kind of purifier). What is in cup2 is water, not tea, even if a chemist could not distinguish it from the present contents of cup1. The cups contain the same thing from one point of view, different things from another; but in either case cup2 contains only water and cup1 only tea. In cup2, the tea is an “impurity” in Putnam’s sense, in cup1 it is not, and we do not have water at all (except in the sense that milk is mostly water, or a person for that matter). If cup3 contains pure H2O into which a tea bag has been dipped, it is tea, not water, though it could have a higher concentration of H2O molecules than what comes from the tap or is drawn from a river. Note that this is a particularly simple case, unlike its classic counterparts “earth,” “air,” and “fire,” among many others. Grandpa’s common sense notion of ‘water’ tells him that Cup 1 and Cup 3 are tea and Cup 2 is water. The Chemist with her ‘H2O’ would reach some other conclusion. The two terms are in fact incommensurable. What the above example from Chomsky shows is that our concept of “water” is extremely rich and complex and it has little or nothing to do with the word H2O from the language of Chemistry. 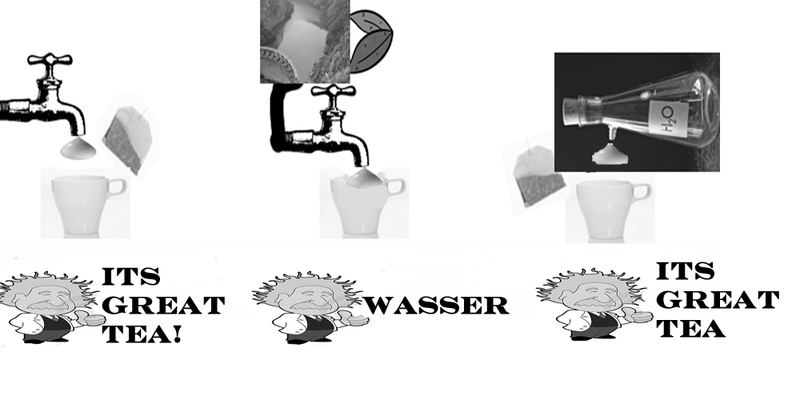 The words ‘H2O’ and ‘Water’ belong to different languages (Chemistry and English) and are incommensurable. One is supposed to refer to a mind-independent entity, the other is a reflexive internal construct whose meaning (on being used) hinges upon peoples beliefs, intentions, backgrounds etc. Scientists in defining their terms are not dealing with natural, everyday language and concepts. They have technical concepts and terms, and for the scientists, those notions, “electrons”, “H2O”, “Genes” refer to mind-independent entities. Unlike our “water” and “Obama Liar Pants on Fire”, for the scientists H2O refers to something out there in the world. Conversely, in everyday life in which we use natural language, the meaning of the words “prince” and “Obama Liar Pants on Fire” and “water” are all over the place, dependent on our beliefs, interests, viewpoints etc, and thus do not refer to anything external. Summing it up, science does have a system of reference unlike natural language, and this I would argue is the major psychological distinction between science and everyday affairs. Scientists have to force themselves into a straitjacketed way of thinking about the world, which we (they) are not used to doing in our (their) everyday lives. And this way of thinking both restricts and enhances their powers of analysis. They give up the richness and complexity of our concepts and replace them with the rigor and discipline of their own words that refer directly to the external world. This also suggests that when we do science, we bring into play other faculties of our mind, quite distinct from those used in everyday life. From a common-sense point of view, I don’t think that scientists do believe that anything like atoms really exist, only that in certain circumstances certain actions have certain outcomes that can be explained in terms of atoms. It is as if we thought we could recognize objects that we could sit on, rather than worrying about whether it ‘is’ a chair or just a box with a sheet over it. Many scientists do seem to mostly act ‘as if’ they believed in atoms, but as Einstein says, they ‘should’ – at least when challenged – realise that atoms are no more real than chairs (and arguably less real). That is, as Weinberg says, they have only the rough-and ready (pragmatic) realism of our common-sense belief in chairs etc. So the thesis of the post was that their words have a reference to some mind-independent entities, and thus (the general idea of science is that) those words are not dependent on individual scientists intentions, backgrounds, viewpoints etc. Take H2O vs Water. Water can potentially differ from person to person. But H2O would generally not differ from scientist to scientist. But coming to metaphysics, I think the word “real”, like I said, muddies the waters. What is meant when we say something is real? That it exists? Surely not. I remember Wittgenstein’s example (from memory): People declare some object which disappears to have been an illusion. But suppose it comes back again? Then it is no longer an illusion? And then disappears again? And so on. I think the entire realism vs anti-realism (and instrumentalism) debate is something that philosophers of science are interested in (rather than scientists themselves), and this is of course fair enough. But I do think the debate is misguided. Anyway, that’s my opinion obviously. I was misled by your use of the term ‘external world’. I think the distinguishing feature of science is that it is all meant to be explicit. But this can be a work in progress. I do not imagine that Bernal’s ideas on the structure of water came to him fully formed. Many scientists seem to have some very vague ideas, which they sometimes discuss among themselves. But the aspiration is to be as explicit as possible. Yes, I agree, esp. the “work in progress” part. Is the your position similar or different from Karl Poppers distinction between “essentialism” and “nominalism” ? I remember this from the Open Society. I think superficially it would appear that yes. But I think a closer look would reveal that this is not what I am saying. In my opinion, Popper didn’t ponder the significance of different languages (Chemistry and English). The problem is not just about precise or vague definitions. It goes beyond that. In fact, what Popper is arguing in those passages that I remember, is in the same playing field as Russell’s essay “On Vagueness”. And of course both Russell and Popper are right. But like I said, the situation goes way beyond that. And this is where in my view Wittgenstein comes in. Great summary! You may like to watch the new Gondry/Chomsky film, Is The Man Who Is Tall Happy? Thanks for the comment. Yes, I did watch it yesterday. Its very good!